Compare fixed fee quotes from 960+ trademark attorneys. A strong brand is essential for your business. Over time, it becomes one of your most valuable assets, outlives your products and acts as a bedrock to support your business as it evolves. That value must be protected. Owning domain names or registering your business name with Companies House are merely practical steps. They do not legally protect your brand or prevent others from exploiting it. The best and only way to legally protect your brand is to register a trademark. Registering a trademark allows you to protect words, logos, shapes, colours and even sounds, providing they distinguish your business from others in your market. 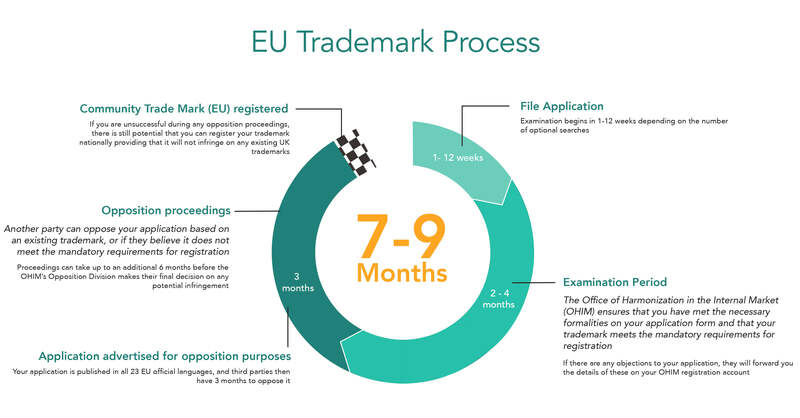 Whether you’re looking to protect your brand in the UK only, or throughout the EU (or even worldwide) the trademark registration process is long and complex, with many uncertainties. It is a domain best left to the experts. Lexoo saves you time and money by getting you multiple quotes from hand-picked trademark attorneys to help you through the process. Whether you only need advice or also someone to handle your application from start to finish, you can compare and select the right trademark solicitor according to your budget and needs. Our trademark specialists have an average experience of 12 years, giving you peace of mind that your brand will get the best protection. Do a search to ensure it hasn’t already been registered. The search: has your trademark already been registered? Your trademark cannot be the same or similar to something that’s already been registered by someone else, unless their trademark is for different ‘classes’ of products or services. You can search for existing UK trademarks using this tool by the UK Intellectual Property Office (UKIPO). There are 45 classes and you can only stake your claim for specific goods and services by selecting one or more of the classes - so conduct your search accordingly. If your goods and services don’t appear to fit into one or more of these class headings, you can delve deeper using this tool: TMclass. If you’re looking to operate outside the UK, you’ll need to broaden your search across the EU or even worldwide using the Global Brand Database. This search process is critical, and not for the faint-hearted! 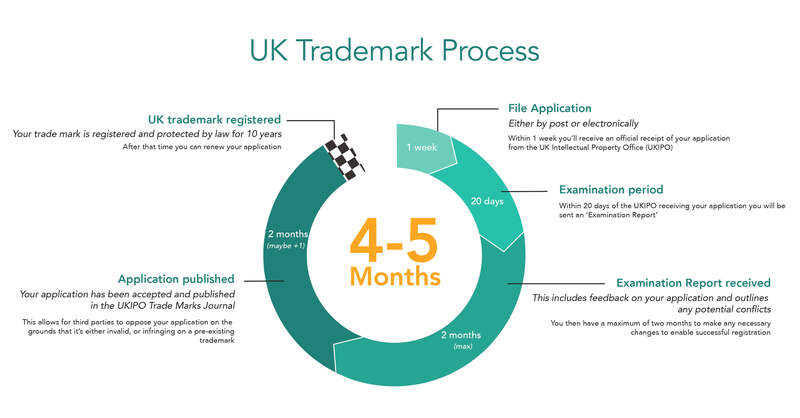 When you’re ready to register your trademark, you can apply to register it in the UK only, the EU (called a ‘Community Trade Mark (CTM)’) or worldwide. Figuring out whether your trademark is capable of being registered (from a technical perspective), conducting the searches and navigating the registration process is hard. Most entrepreneurs find it too daunting and choose to get help from the pros. They’ll do the searches for you, give you technical and strategic advice and handle any objections raised by the UKIPO or third parties. All the lawyers and trademark attorneys on Lexoo have been vetted for their expertise. They can help you with both trademark registration and advice; but also help you enforce your trademark and take action against others who’ve infringed your trademark, such as counterfeiters. In each case, we hand-pick the right experts to suit your requirements and invite them to quote for your work so you can compare and pick the right lawyer. You can use this handy tool to estimate the government registration fees for either a UK or a EU Community Trade Mark. To register a trademark in the UK you’ll pay an initial government fee of £200 (or £170 if completed online), for registration in one class. Then it’s an extra £50 per additional class. Professional fees for advice and having your application done via a trademark attorney or trademark lawyer is extra, typically starting at around £400 for one class. Government fees to register a Community Trade Mark for protection in the EU start at €900, which includes three classes. Each additional class costs €150. Again professional fees are extra, which tend to start from around £750 for three classes. Trademark application fees are non-refundable - if you apply and find out someone else has your trademark, you’ve just blown a lot of money. Do a comprehensive search and get an expert to help - it’s worth it! If you want to DIY, try the resources linked to above and search for competing brands either by application number or keywords, or alternatively look for future pending trademarks in the Electronic Trademark Journal. If you haven’t yet named your product or service, remember descriptive names such as “Bristol Business Brokers” are virtually impossible to trademark. Think of something unique, it’s much easier to trademark. Some of the most distinguishable and well protected brands are invented (or misspelled) words, like Kodak or Google. By registering a trademark you can protect your logo or words, but also your product packaging. For example Toblerone’s prism-shaped packaging and Coca Cola’s classic glass bottle. You might only be operating in the UK today, but think about the future - will you expand to the EU or US for example? If you’ll be operating within the European market, consider registering a Community Trade Mark (CTM) now. Try to be two steps ahead of your competitors - you might be able to anticipate their future product lines or services and preemptively register trademarks that may help protect your turf. To protect your brand as much as possible, carefully review all the classes that might apply to your businesses, including those that are not obviously applicable. Don’t just think about what you do now, think about what you might do in future and apply for those classes too. You can’t add more classes once your trademark is registered - be thorough. Applying for trademark protection in classes that you don’t provide services, can undermine your whole application and prolong the registration process. And finally, if you need help, send us an enquiry and we’ll get you multiple fixed-fee quotes from trademark attorneys within 24hrs, for free. Give us a try! Looking for help with your EMI options scheme? Read more here.